Before embarking on the exercise, it is important clear the area of any obstruction that can cause you accidents. Dealing with these high-tension springs is a real task and can get even worse where you have to work in confined areas. 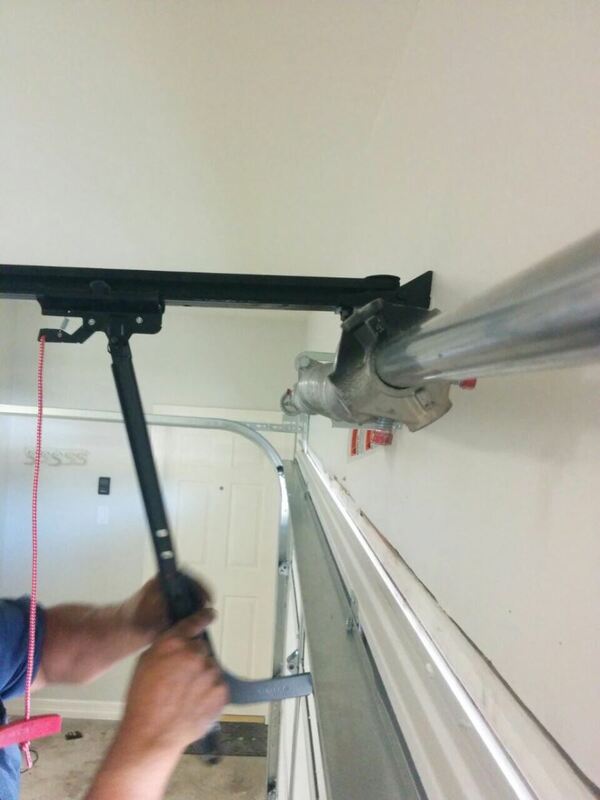 It is crucial to disconnect the garage door opener from the radial arm, to eliminate any possibility of the opener being activated as you replace the torsion springs. This will ensure that you perform the broken spring repair in a safe environment. If you have a two-car garage, then you will have two springs for the door. In the event where only one spring has broken, you will only need to open one of them. Start by locating the winding cone, which in most cases faces away from the garage door. Using the winding bar press it up. As you hold the winding bar with one hand, use the other hand to loosen the two set screws until you can easily move it. This must be done slowly since if you happen to lose the grip on the winding bar, in particular, when dealing with overhead door springs, it can swing and cause you injury. Once you are done replacing the torsion springs, repeat the process with the same care and attention. New springs are highly tensile and can break or cause injury.